To answer this controversial question, let’s look at holidays in general. Why do we celebrate certain occasions? American holidays like Memorial Day and Mother’s Day spring from historical events and the desire to honor people. Other holidays go back further to distant lands and cultures. Christmas, birthdays and Halloween all have roots in ancient pagan practices. Christians began subtracting certain elements and adding others as a way of redeeming those occasions. We’ve done pretty well with turning birthdays and Christmas into lovely occasions where we honor people or focus on Jesus without participating in magic or superstition. Can we do the same with Halloween? Consider this: Celebrations mean something. True, in the world, people party just to party – but believers celebrate for a reason. Holidays (holy days) aren’t just about time off or parties or carrying on common traditions. 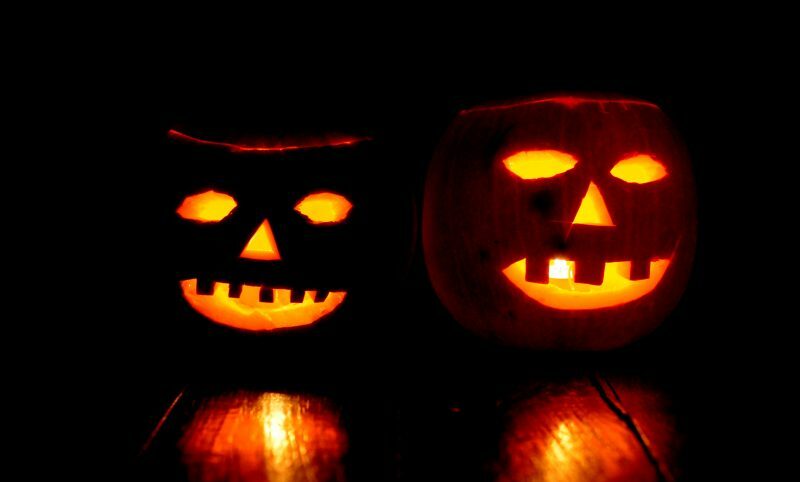 Why should our family celebrate Halloween (or not)? Have we prayed about this? Can we create an alternative occasion, such as dressing up for family games and treats or attending a harvest party? Such questions will help you avoid the mindless repetition of family traditions and/or cultural norms, and will help you establish the reasons for which you celebrate (or don’t). Here’s the thing: Your family traditions should reflect your beliefs and values. Christians are a celebrating bunch, for good reason! We have been delivered from darkness into the kingdom of light. Our sins are paid for. We can come into our loving heavenly Father’s presence at any time. Orient your special occasions around light and life. Celebrate beauty, hope and joy. Shine into the lives of people who don’t have Christ and can’t see things clearly. People are attracted, more with every passing year, to Halloween. They think it’s fun and cool and awesome. They are drawn to its grotesque images, morbid exaltation of fear and death and violence, and seductive darkness. Their tastes are messed up. That’s because they don’t have the mind of Christ — but you do. So you’ll have to decide whether you believe there is anything redeemable about Halloween. Your children have sensitive spirits and curious minds. You are responsible to teach them the truth about life. Answer their questions. Lead them into greater understanding as they grow. Guard your children’s tender spirits — and make your family’s celebrations mindful and meaningful.